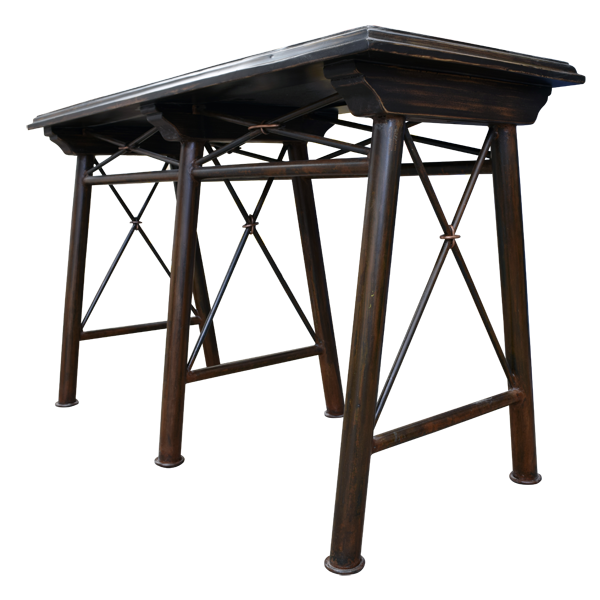 All of the iron work on this handcrafted, Western style console is performed in our factory by our resident, skilled blacksmiths. 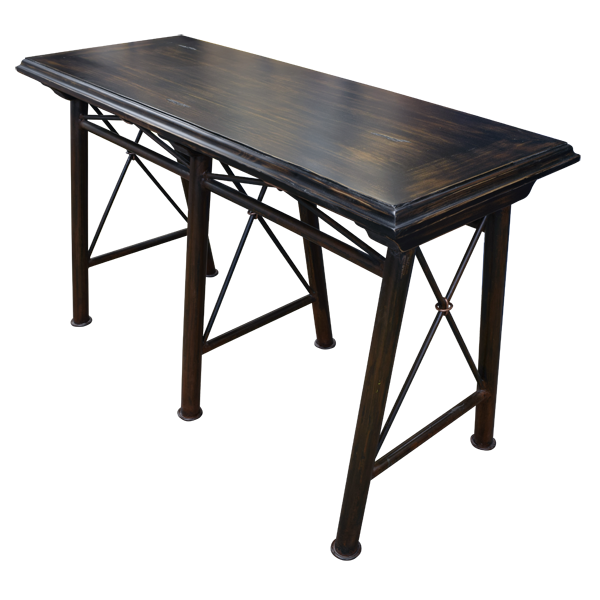 The console has an open, solid wood, rectangular top with a staggered top rim. 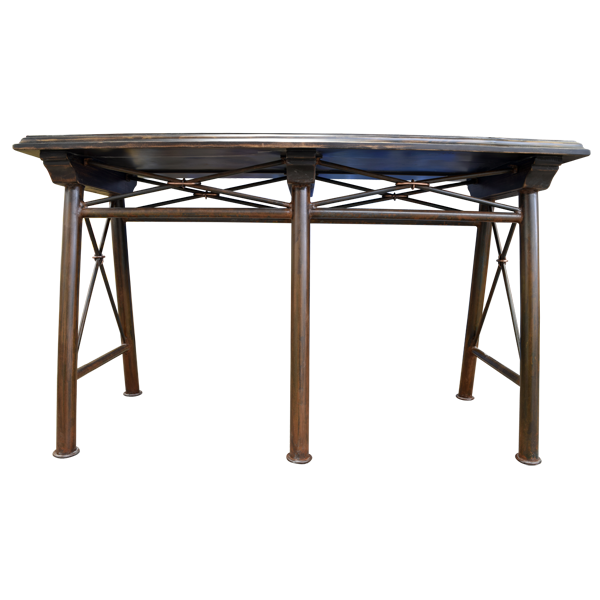 Each side of the console is embellished with a vertical, hand forged, iron “X” design. 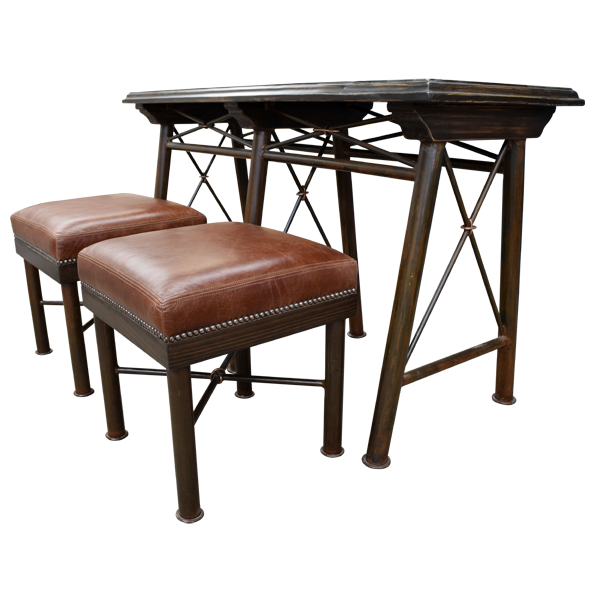 Directly below the top are two, horizontal, hand forged, iron “X” designs, and under the designs are two spaces for the small chairs to enter. 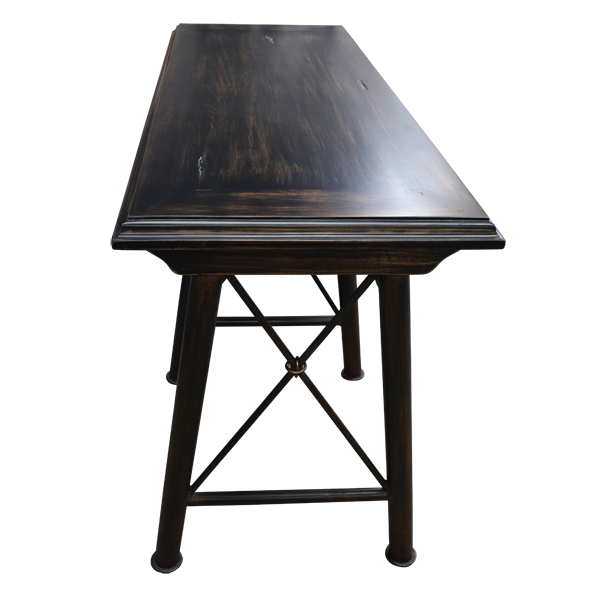 The top rest on four, splayed, hand forged, iron legs, and the legs are joined with a hand forged, iron stretcher. 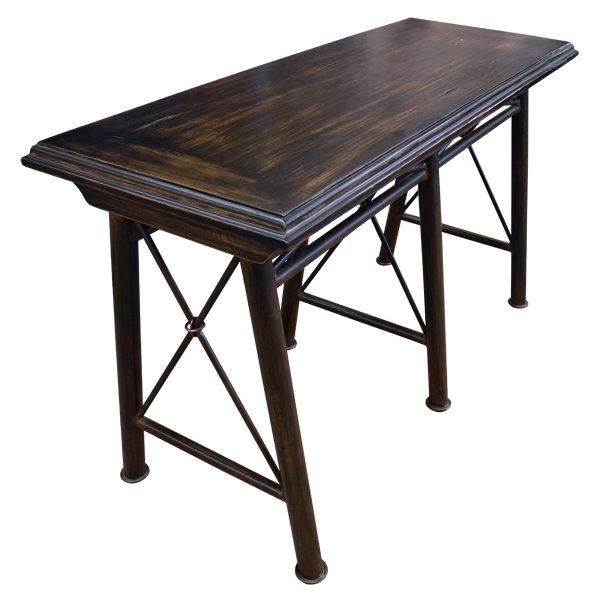 Available with this beautiful, handcrafted console are two small chairs that can accompany the console. 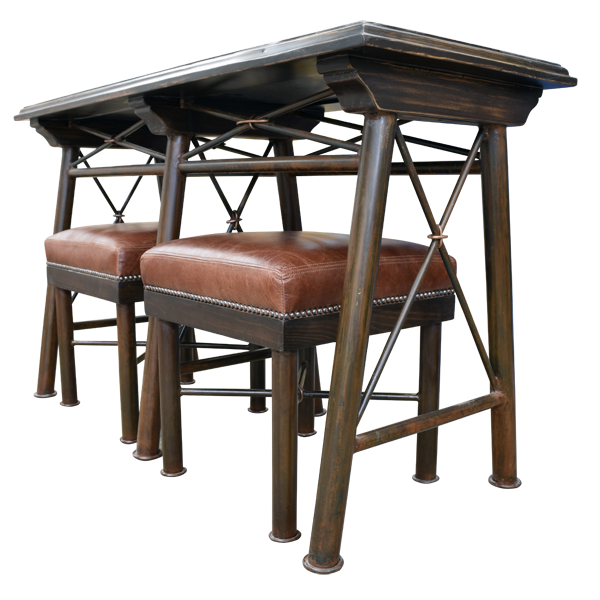 The chairs are upholstered in full grain leather, and they are designed and constructed with the same hand forged, iron details as the console. The console can be purchased with or without the chairs.